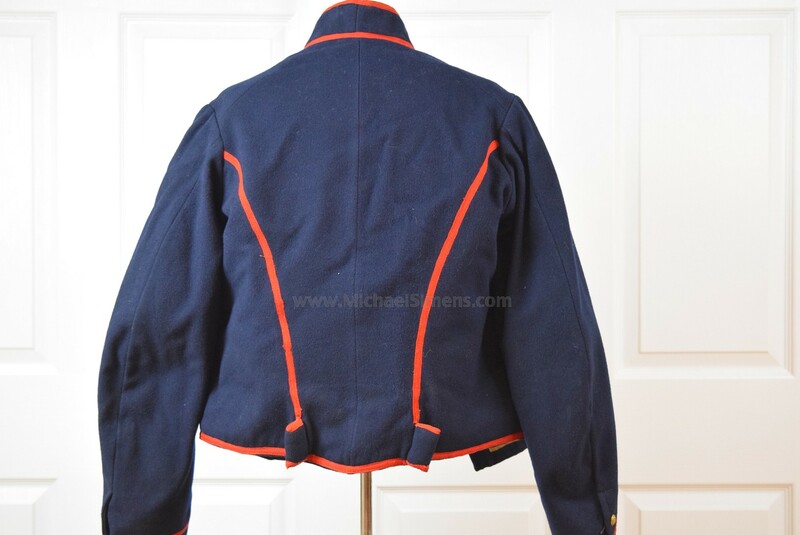 This is an excellent condition and original Civil War Artillery Shell jacket complete with stenciled inspection, maker mark. 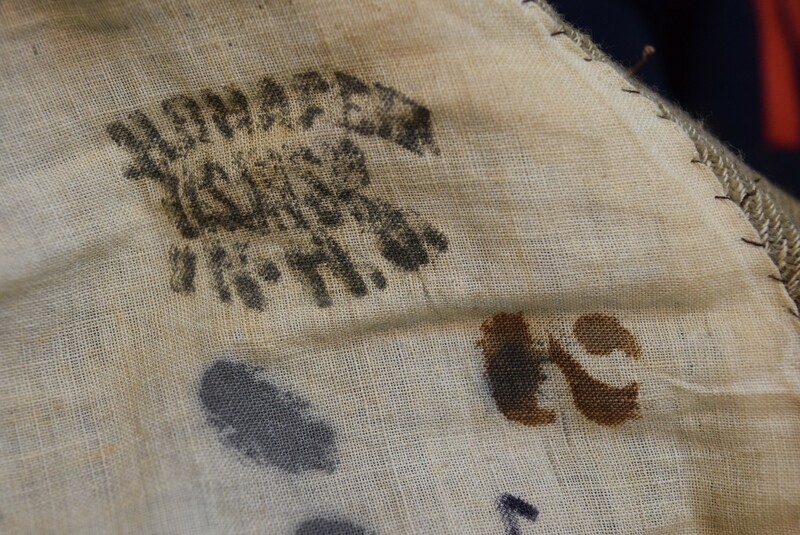 It's getting tougher to find these in such wonderful condition with the markings you want to see. 100% complete with all of its original buttons and pillows. 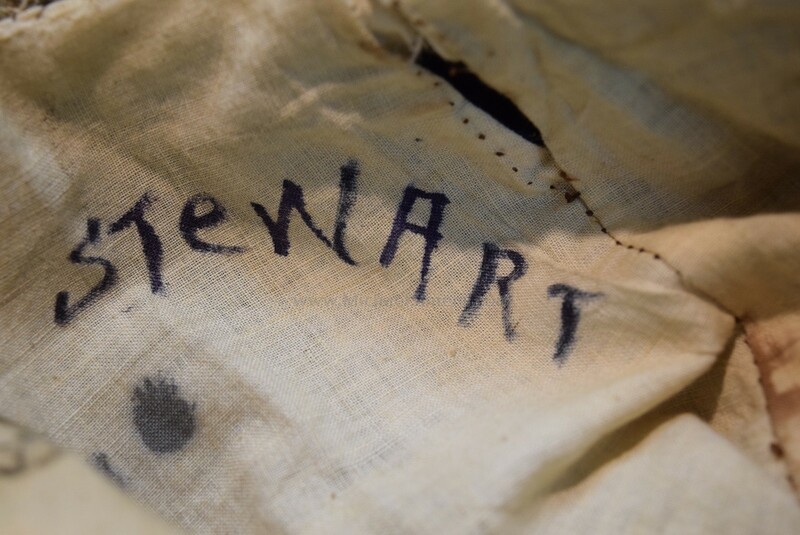 There is also a name, "Stewart" in the sleeve of what appears to be of a more recent ink marker origin. 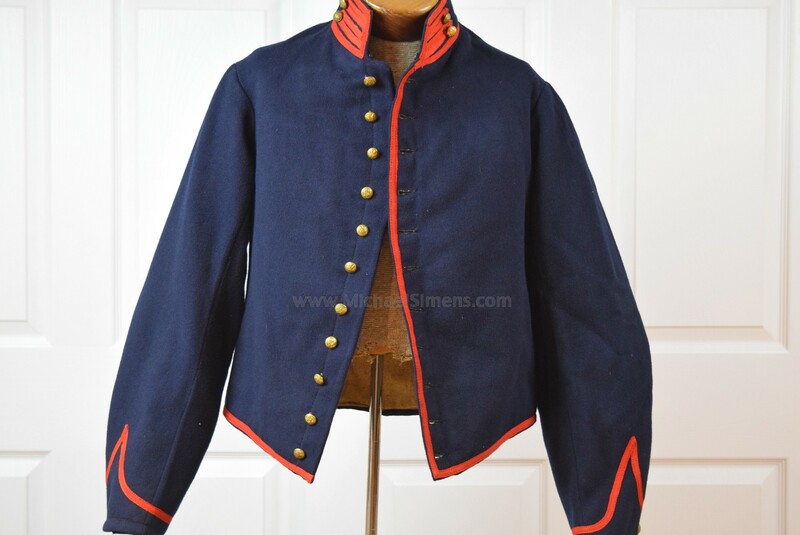 I can only surmise that some family descendent marked the coat to retain its identity, but obviously no one can tout it now as there was absolutely no provenance accompanying the jacket.